Mandarake have unveiled a number of new toys they’ll have up for grabs at their upcoming Daiman Festival this week, the highlight for us coming in the form of this incredible licensed Chō Kōsoku Galvion sofubi! Taken directly from the classic 80’s mecha anime, “Garubion” has been faithfully recreated in soft vinyl form, standing at a gargantuan 12.5″ tall and featuring extensive articulation that changes the figure from ‘bot to car within seconds. Produced in Garubion’s signature white, blue, grey and black for this first run, the figure will be going on sale at the festival this Friday, August 5th for 19,440yen. Here’s hoping we see a version outside of Japan soon! 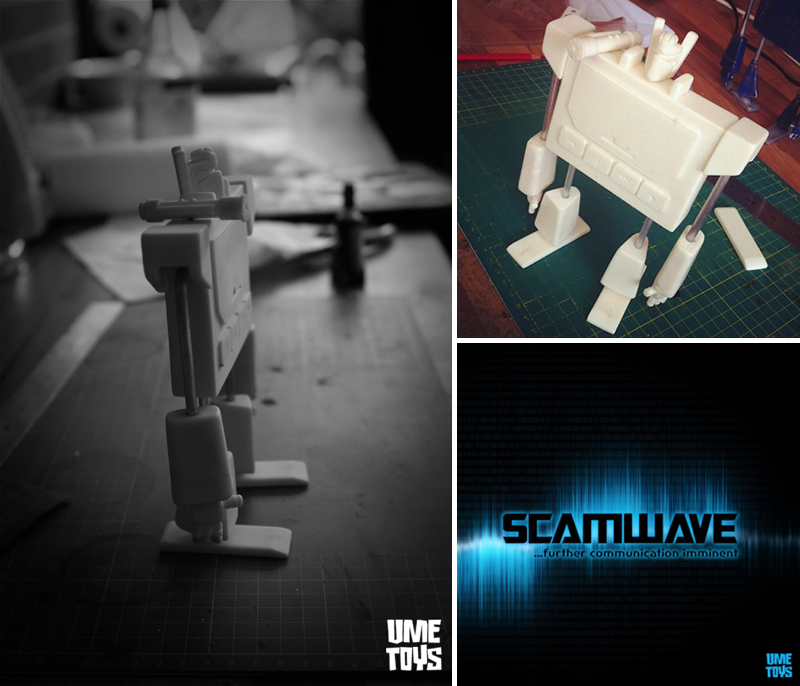 Originally teased here last week, Richard Page over at UME Toys has just revealed the first test-pull of ScamWave… and it’s EPIC! A re-make of Rich’s incredible one-off Soundwave sculpt created last year (check him out here), the new version features a tighter, chunkier design than it’s predecessor, standing at around 7.5″ tall and now coming with a whopping 9 points of articulation. To be painted up in the familiar weathered navy blue and silver of the original, we’ll be keeping our fingers crossed for a full reveal plus those all important release details later in the week… Keep track of the UME Instagram feed here for further developments as they happen!